On December 6, 2016 a seminar took place in Nortof (Germany)on the complex subject of castration of male piglets. The Seminar was organized by ZNVG (Vermarktungsgemeinschaft für Zucht- und Nutzvie). One of the speakers was Mr dr. Gé Backus (Connecting Agriculture and Food), who has been working on the castration dossier for more than a decade. According to Backus, society demands can no longer be ignored despite the obstacles, challenges and differences in European countries. Dr. Backus discussed the connection between pig farmers and consumers and the purchasing patterns of consumers. In general it can be said that consumer welfare is not in the top three of purchase motives. Research shows that this is the case in approximately 15% of the motivated German consumers. Backus pointed out that in many countries it is difficult for consumers to recognize animal friendly produced meat in shops. This differs from the situation in for example The Netherlands where in supermarkets only pork from uncastrated pigs is offered, under the so-called Better Life Label. For the various links in the production chain it is not easy to be distinctive on animal welfare. Simultaneously, information about the producer, the farmer or the origin of the region offer confidence to the consumer and willingness to buy. Backus highlighted the major differences in European countries. In the UK, Ireland, Spain and Portugal pigs are not, or only to a small extent, castrated for many years. In the Eastern European countries, the subject is not on the agenda. In Belgium, Germany, France and The Netherlands, developments are on topic already for a number of years as at the same time Denmark is holding back and is taking a wait and see attitude. According to Dr. Backus barriers and obstacles around the issue of castration are a fact. The occurrence of boar taint is the most important. In addition, the production methods differ significantly in the European countries. 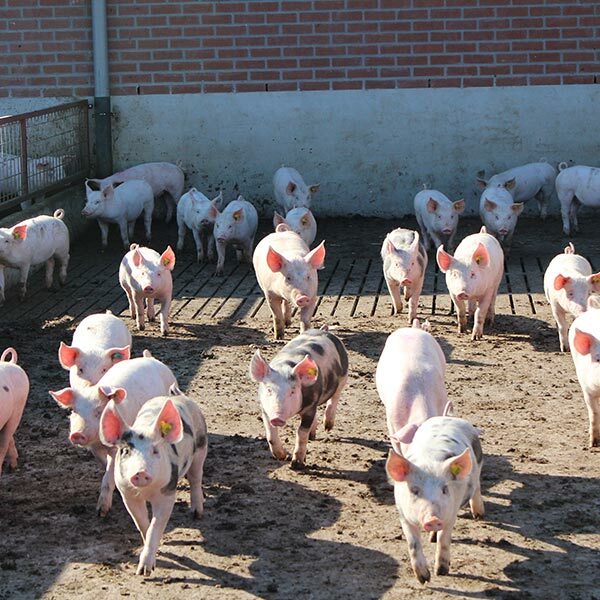 Organic pig farming has its own additional challenges. Dr. Gé Backus concluded that the market ultimately determines how you have to work and what you have to produce. It is clear that the signals and wishes from society can no longer be ignored.